The Quick Draw Mount uses a patented design that allows full adjustability of the trail camera by utilizing the small threaded insert located on the bottom or back of the trail camera. 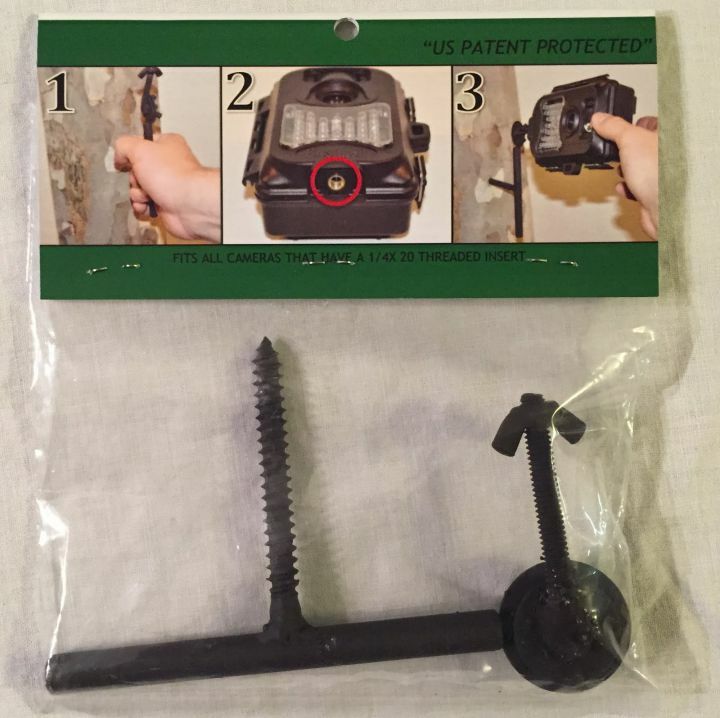 Three pivot points are achieved to get the desired point of aim and no longer will you be looking for the perfect size and shape straight tree for use with the original strap. Quick Draw Mount has set out to accomplish one flaw that exists with today's trail cameras, the ability to mount the camera. Say goodbye to the factory nylon strap that requires jamming sticks behind the camera, and hello to full adjustability.